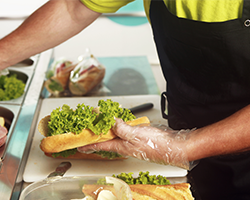 The first online training series tailored to foodservice in convenience is finally here. Retail operators can now earn a Certified Convenience Foodservice Management (CCFM) designation by completing a 10-course online training series which tackles the key aspects of developing and growing a successful foodservice offer. Developed in partnership with an esteemed group of restaurant and convenience foodservice experts, each online module addresses a critical aspect of convenience foodservice operations. Graduates of the CCFM course series (complete all 10 courses) are eligible to become Certified Convenience Foodservice Category Managers (CCFM). The CCFM is a designation of achievement awarded by the National Association of Convenience Stores (NACS) to individuals who commit to continuous professional development in the convenience industry as a Foodservice Category Manager.